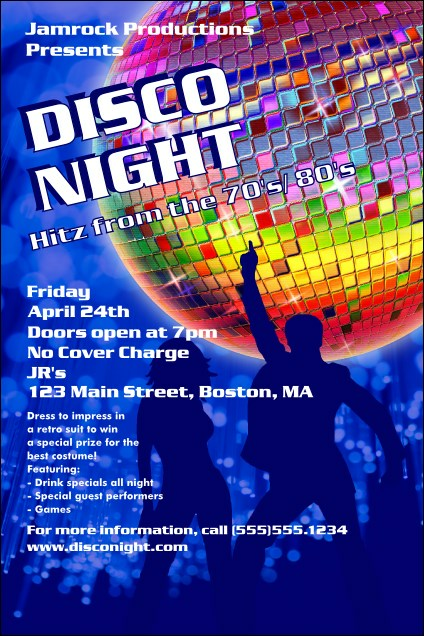 Inspire everyone to break out the platforms and Halston dresses with the Disco Poster! A dazzling mirror ball and boogying couple add glitter to its twenty-one lines of customisable text. Adore this groovy design? Check out its matching event tickets, invitations, VIP passes, and more. Create striking, custom-printed posters for your event with help from TicketRiver.com.au.